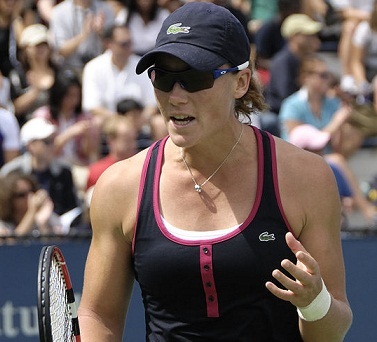 Sam Stosur may be the defending U.S. Open tennis champion, but that means little at the Australia Open. The homegrown hero was dumped out of proceedings in Melbourne in the first round on Tuesday. The star from Brisbane doesn’t have the best of records in the southern state of Victoria, and had never made it past the fourth round. Seeded sixth, it was hoped and anticipated by the home crowd that this time things could be different. Alas, for the home fans it wasn’t to be as she crashed out in straight sets to Sorana Cirstea from Romania, who admitted after the win that she was probably the most-hated woman in Australia at the moment. Stosur, meanwhile, is probably the most frustrated. Back on home soil for last week’s Sydney International, she also left the party early then when she crashed out in the first round. When asked about expectations, she admitted that this was likely a factor. It was the major shock from a first round in which many of the big guns in the tournament strolled into the second round in the year’s first Grand Slam event. Defending champions Kim Clijsters won comfortably, as did top seed Caroline Wozniacki, still searching for a first Grand Slam. For the men, Rafael Nadal and Roger Federer were never in real danger of not making it into the second round. Top seed Novak Djokovic, meanwhile, lost just two games in his opener.